As we say goodbye to 2013 and welcome 2014 it’s time to round up my beauty favourites and share with you my most loved products of this year! This is undoubtedly one of my favourite cleansers and will continue to be so in 2014! It’s gentle on the skin and removes every trace of makeup, leaving my skin cleansed and moisturised. My overall complexion has improved significantly, I’m less prone to breakouts and my skin PH is more balanced. It’s definitely a holy grail product! I am in love with this BB Cream! This is the only base product I’ve been using on my face ever since I purchased it on my last trip to HK. It gives light and natural coverage with added SPF25 making it ideal for every day wear! With an upcoming trip to HK planned this is on the top of my shopping list. I received this last Christmas and what’s left of it remains a permanent staple in my makeup bag! It’s a longwearing, blue toned pink and matches my complexion just right. It’s my daily go to lipstick which I’ll definitely be repurchasing when the time comes. This one comes as no surprise because I’ve repurchased this eyeliner several times already. It’s my favourite eyeliner and when it says “stay all day” and “waterproof”, it really means it! It’s so easy to use as well and I can create a defined cat eye in just a few strokes. This brow palette has been keeping my brows in check all year! The soft wax is great for defining the brows and you can set it all in place with the powder, as well as fill in any left over sparse areas. Despite using it for a year I’ve only recently hit pan with it, making it good quality and well worth your money! I developed an interest in highlighter a little later than most, but since using this Laura Mercier Matte Radiance Baked Powder I’ve been obsessed ever since. I sweep the powder on my cheek bones, on the bridge of my nose and my brow bone and it gives me such a healthy, natural glow! 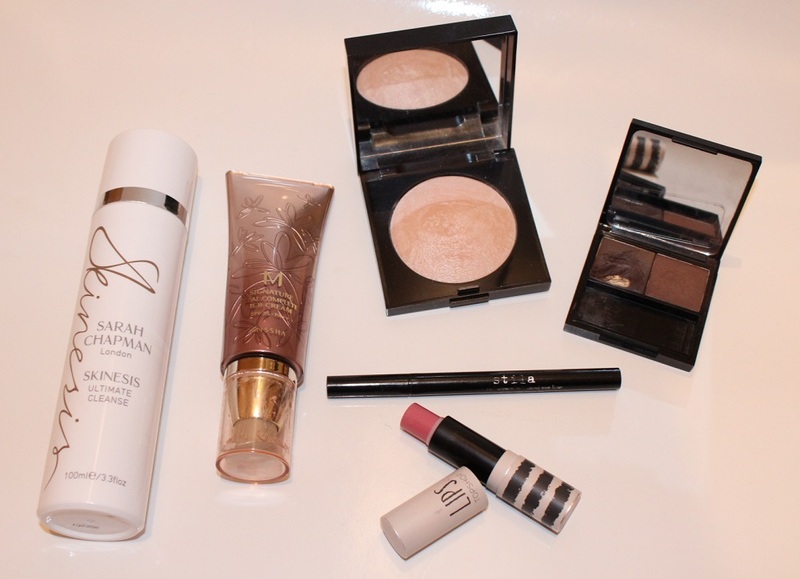 And there you have my favourite beauty products of 2013! What have been your favourite beauty products this year? omg i love brow zing too its amazing!! !